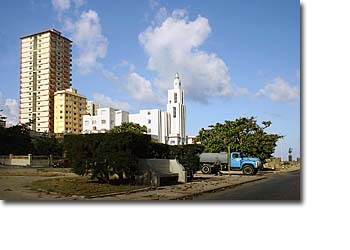 Located along the waterfront, was developed during the decades between 1930 and 1960, when Havana developed as a major destination for U.S. tourists. 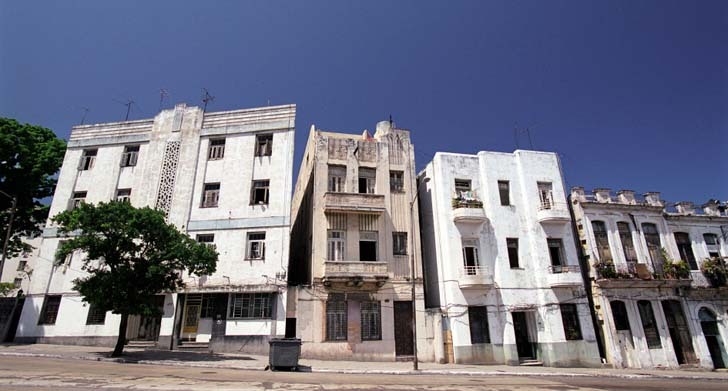 High-rise hotels, restaurants, and upscale commercial establishments, many reflecting the then-popular art deco style, mushroomed in the Vedado district. This Cuban institution for Latin American and Caribbean culture was born with the revolution and has been in existence for over forty years. Multidisciplinary in nature, its annual program includes talks, workshops and prizes for literature, as well as art, photography, musicology and print exhibitions. The galleries in the main building house one of the finest collections of Latin American art. There are three separate exhibition spaces and a specialized library. This is one of the most famous cemeteries in Latin America, known for its beauty and magnificence. 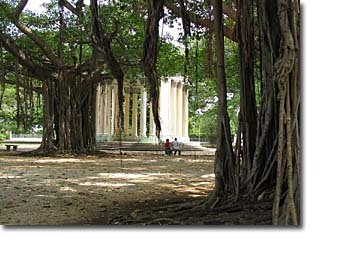 The cemetery was built in 1876 and has nearly a million tombs. Some of the gravestones are decorated with the works of sculptors of the calibre of Ramos Blancos, among others. 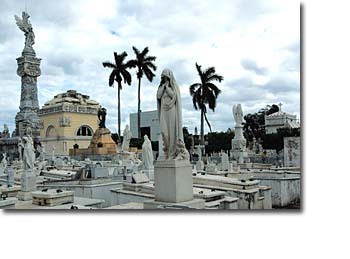 Afrocuban religious practices have a big influence in Cuban culture, and this cemetery is no exception, on the contrary, it is quite common to find rag dolls with colorful dresses resting by small graves. The dolls are offerings to the various deities. Another interesting fact is the legend of the Milagrosa (the Miraculous Lady). She was a woman that died giving birth along with her baby. They were buried in separate graves and later on, when her grave was opened, they found the baby in her arms. A lot of devout catholics leave offerings by her grave. Made famous in Tomás Gutiérez Alea's hit film Fresa y chocolate (Strawberries and Chocolate), this is the main branch of the Cuban national ice-cream company. At the center of the block-long complex is a postmodern building of curving concrete and glass, surrounded by a series of open courtyards with wrought-iron tables, where customers are served bowls of the frozen nectar. There are actually a dozen or so small booths selling cones and bowls spread around the park. 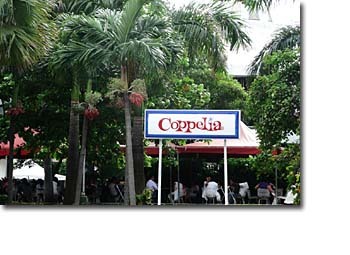 Still, Coppelia is yet another glaring case of tourist apartheid: Cubans form long lines to wait their turn at a table or stand while tourists, who are paying in dollars and not pesos, are always taken to the head of the line, or shown to a separate dollar stand. There are usually only two or three flavors available on any given day; if you're there on a rum raisin day, you're in for a treat. 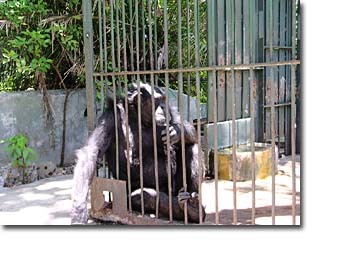 The National Zoo is situated on the outskirts of Havana and many of the animals housed here roam freely in areas which resemble their natural habitats. For safety reasons visitors are transported through these particular areas on a small train, which allows close up views of the daily life of the animal kingdom at large. Traditional enclosures in the rest of the zoo mean you can wander at will through the hundreds of species on show here. This Vedado public park in central Havana is a traditional meeting place for the city's lovers. Its pretty shaded walkways are also frequented by street musicians, artists and poets who often end up here at the end of a long night on the town, or in search of inspiration. Tourists are not immune to its charms either. 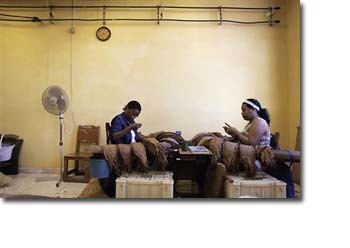 Which are similarly charged with producing some of the country's finest cigars.